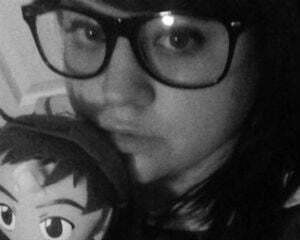 If you want to think outside the box, the role-playing genre may not be the perfect playground for you -- at least, when it comes to traditional Japanese titles, which generally confine themselves to a set of tried-and-true mechanics. For some, that’s acceptable. We know what we’re getting into, and what to expect. 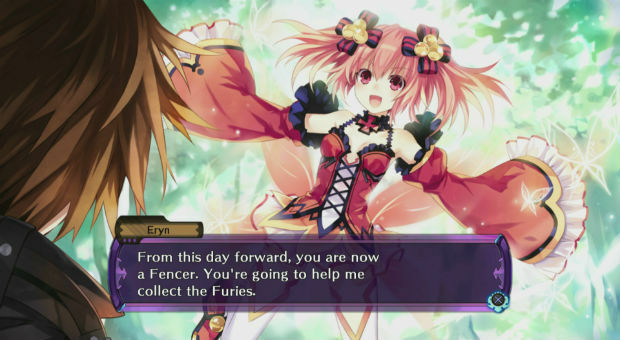 When it comes to Compile Heart’s latest, Fairy Fencer F, it’s clear that the company. famous for the Hyperdimension Neptunia series. went back to basics in order to tell its newest story of fairies, furies, and fencers. Unfortunately, “back to basics” in this instance translates to a dull slog through menus, tutorials, and conversations interspersed with combat. And while the combat is enjoyable, there just isn’t enough of it to propel you through the slower parts. You should already be pretty aware of where the story is going when it opens up with the perpetually hungry Fang, who doesn’t really care about anything he’s doing since he’s so hungry. Right when those words spill out of his mouth, it becomes infinitely more difficult to care about anything that transpires during his time in the story -- unfortunately he’s the protagonist, so we’re forced to listen to plenty more drivel about how apathetic he truly is about things. And how he’ll “eat when he wants to.” Riveting. But when Fang hears he can pull a special Sword in the Stone move and wish for whatever he wants as a result (food, of course) he does so and gets a whole lot more than he bargained for. When a fairy jumps out and tells him he’s now forced to gather weapons to be used in a battle to seal away the “Vile God,” he becomes bound to a special sword known as a Fury, and eating just has to wait until he fulfills his new role as a being known as a Fencer. I’d be pretty upset if I were Fang personally, but then again I would have just gone to a grocery store or something, like a rational person. The fairy within Fang’s Fury weapon is a hot-headed pink-haired nymphette named Eryn, and when you combine her haughty condescension with Fang’s apathetic “can’t-be-bothered” attitude, you have a recipe for two of the most grating characters you could possibly have been forced to spend time with. It’s really quite unpleasant, the culmination of the several awful anime tropes you always hope to avoid when it comes to this genre, and it only gets worse from there. In case you couldn’t already tell, there’s not much of an opportunity for epic storytelling or anything like that here, so thankfully the battles that eventually crop up give some semblance of meaning to the game. It’s a familiar turn-based affair, though you can roam the battlefield and call on your Fury partners in order to give you power. 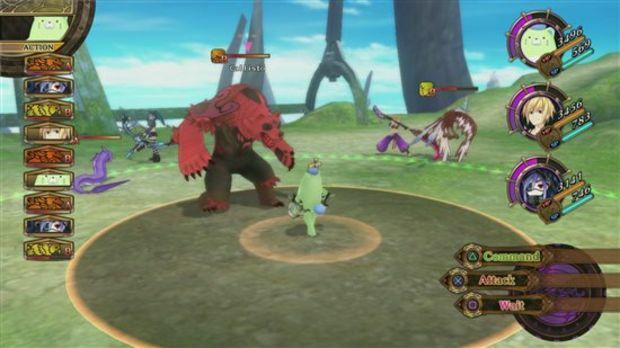 Your partners and powers metamorphosize over the course of the game, making combat the strongest part of the concoction. As you earn weapon points and the ability to customize your equipment, you’ll realize that strategic point assignment is absolutely important. If you don’t upgrade specific things, like your combos, you’ll find that cutting down swarms of enemies is actually an impossibility, finding yourself back at square one if you don’t bother to take the time to upgrade. For anyone wishing to look beyond the typical “press X to bash Y into oblivion” system, Fairy Fencer F delivers, and it’s a genuinely fun, while it lasts. What really steals the show is the “Fairize” ability, which finds you fusing with your fairy partner for stat boosts that go completely off the charts. You’re essentially stabbed through the torso by your Fury weapon, and after a brief, cheesy J-rock interlude, are fused with your partner. You get a fabulous transformation, new attack animations, and a nigh-unstoppable form that you’ll want to call on time and time again. Despite this powerful option, the game’s somewhat unpredictable difficulty curve will undoubtedly end up affecting you at least one point or another, especially when you find yourself facing bosses, who are more difficult than the enemies around them in a ridiculously non-proportionate way. While that’s usually par for the course with JRPG bosses, the level of difficulty they achieve in Fairy Fencer F can get out of hand, and when you’re forced to grind for twice as long as normal to defeat them, there’s a problem. You’ll have to hit the dungeons in order to get to the meatier parts of the game, as well. Combat is engaging, as previously established, but traversing the various dungeons, represented by different elemental affinities, is more drudgery than anything else. You aren't offered the opportunity to freely roam around in any environments, so they’ve got that going for them, but the simple action of moving from one room to another when it comes to dungeon areas isn't exactly scintillating. There's even a drop in framerate when things tend to heat up, which is bizarre, given the fact that the game isn't absolutely mind-blowingly gorgeous to start with. Fairy Fencer F is inherently flawed, but it does boast familiar combat, plenty of items to collect, and JRPG elements that do make up for some of its shortcomings. Unfortunately, dull and grating characters, an uninspired narrative, and the slog of the game’s lengthy dungeons drag it through the dust. If you’re just getting into Compile Heart’s games and are looking for a starting point, you may as well stick to the Neptunia series, which offer more in every department in the long run. Fairy Fencer F should be relegated to footnote status in Compile Heart’s stable of role-playing games.